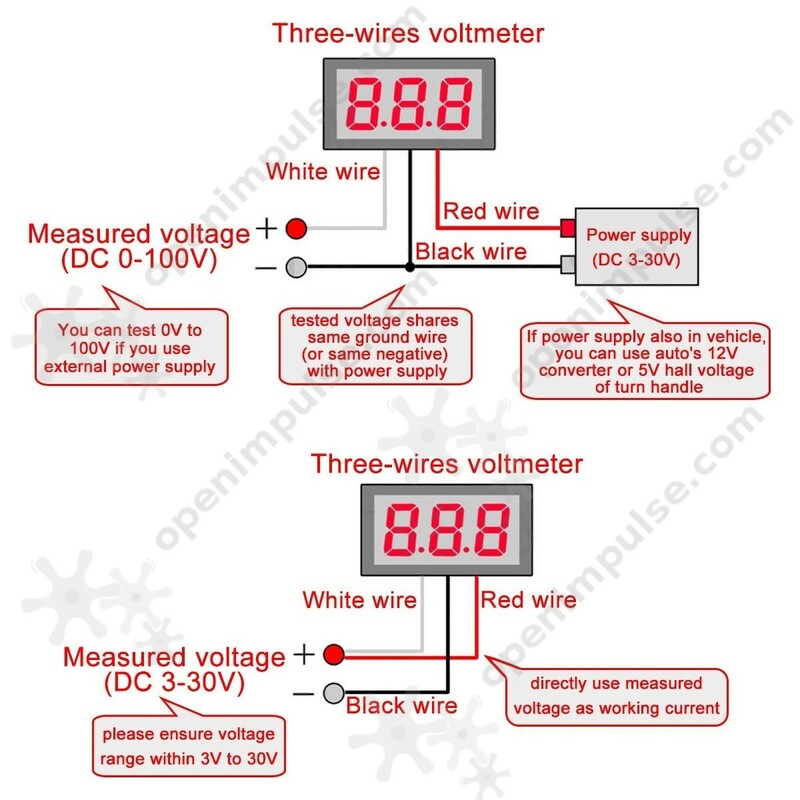 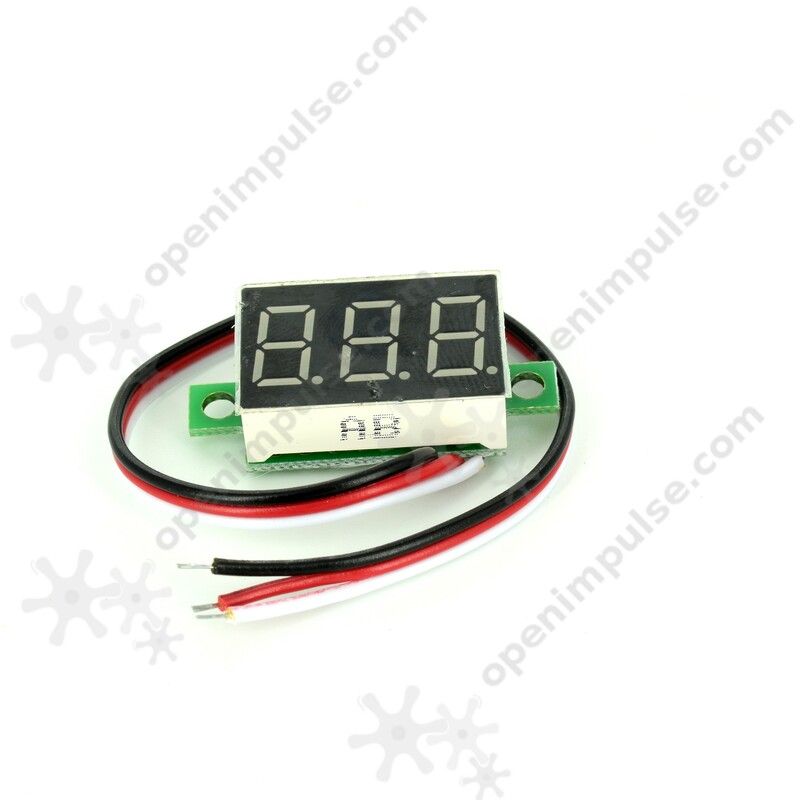 This is a 0-30V red panel voltmeter showing very good accuracy and can be easily mounted. 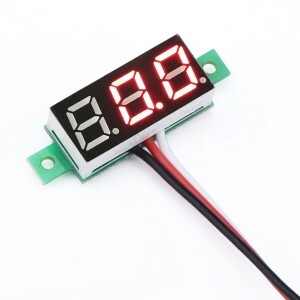 This product is a small voltmeter that can be mounted by two screws. 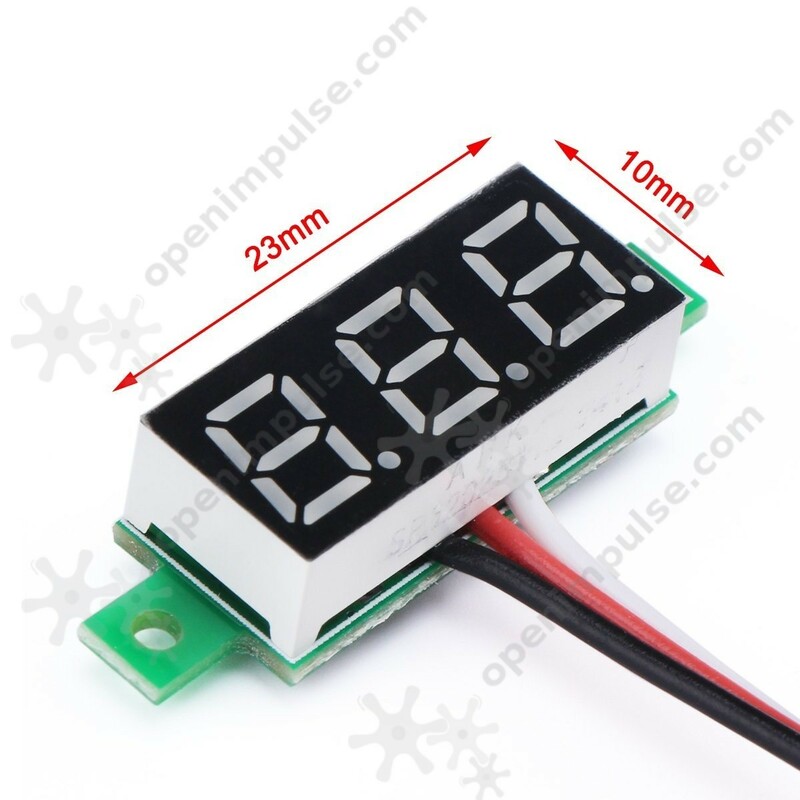 It has a very small error (1%) and has a resolution of 0.1 V. It has maximum measured voltage of 30 V and is sufficient for most common applications. 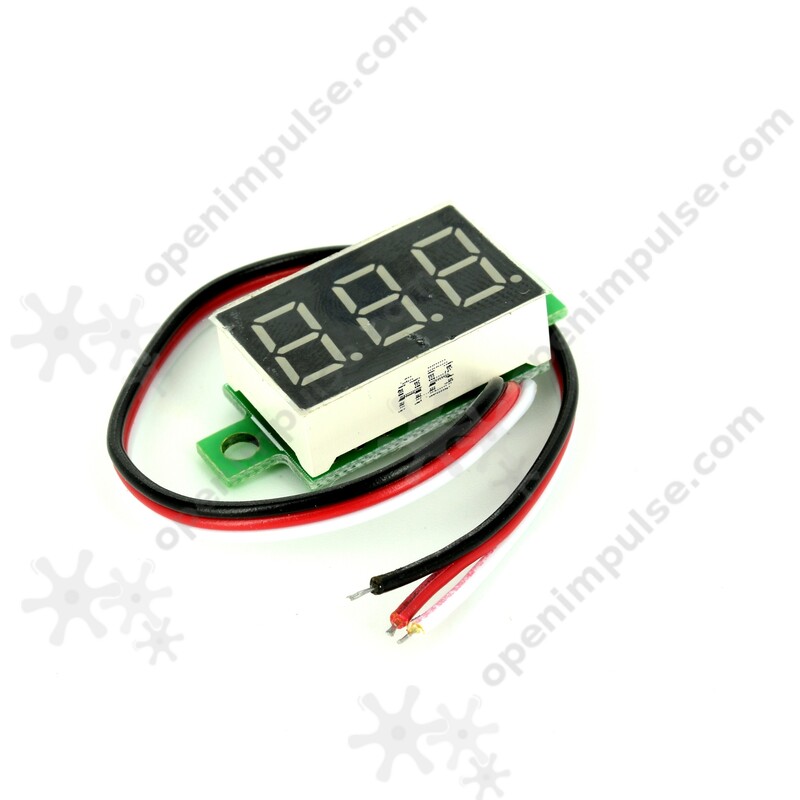 This voltmeter is useful in building your own power source that consists of a power transformer and a power-down switching voltage.